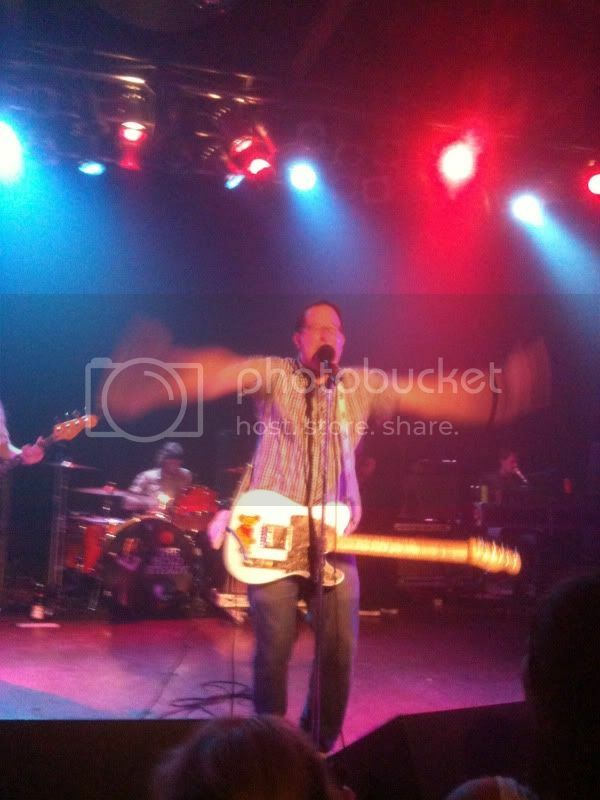 Craig Finn doing his best hummingbird impression. File this under intriguing: hyper Hold Steady frontman Craig Finn has announced a solo project (maybe eponymous, maybe no) that should drop sometime in early '12. Now, this doesn't mean THS is on the outs; far from it, as they're set to write and record a follow-up to Heaven Is Whenever in the next few months. In an interview with Pitchfork, Finn suggests the album's sound will lean towards Americana, and he cites Townes Van Zandt as a recent influence. All sounds good to me. I just hope Craig doesn't assume a faux-country drawl, 'cause I can't imagine that working too well especially when talking about Catholicism and/or the Twins. I don't know. Possibly because we just kept coming out with records, and it was just another Hold Steady record, you know? The good news is that people were still coming out to the shows-- in the music industry these days, that's what matters. But I think part of it is that we're not a new band anymore. There is a real thirst for new things; to not be a huge band, but also not a new band, is different territory. But if you keep putting out albums, there's always another one. It doesn't have to be your masterpiece if you don't wait six years between records. Translation: "Because publications like Pitchfork try to measure us based on their own parameters, whereas we're just releasing albums because we, you know, write them. But hey, fans like it, so just because your douchebag asses didn't 'receive' the album warmly doesn't mean our fans didn't. Did I mention you're a douchebag?" But of course Craig was nice and tempered in his response. And, to be fair, I don't think Heaven Is Whenever was quite up to par with their past releases. Still, I don't think Craig should have to answer to Pitchfork here. But anyway. Solo album! Looking forward to hearing this one down the line. He's got a good view on how longevity works. I'm sure his solo will rock.